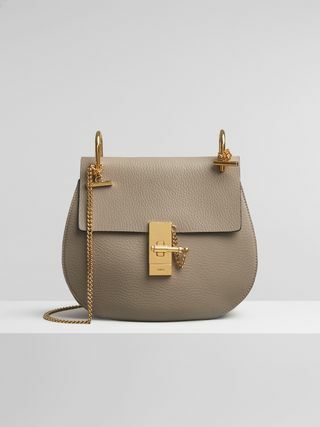 The mini Hudson bag is a playful, round satchel that embodies the freewheeling attitude of the Chloé girl. 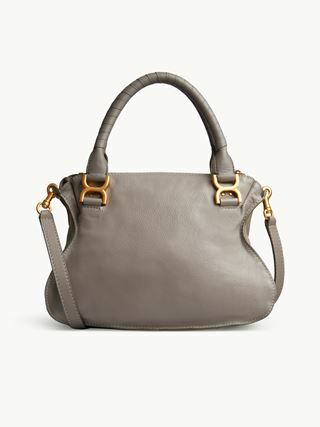 The chic grey suede is contrasted by gold-tone studs, a handmade tassel and oversized D-ring attachments. 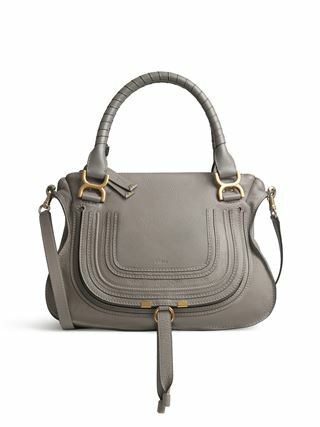 The braided stitching adds a decorative 70s touch, reflecting natural flair and spontaneity. 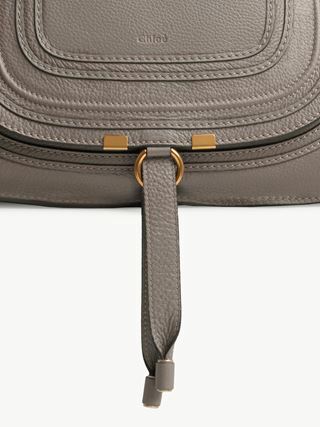 The lengthy strap can be slung over the shoulder for added movement.